Next Monday, in Barcelona, will start Alimentaria 2014. Between March 31st until April 3rd you will be able to find us in the Intervin Pavilion nº 3, Basque Government Group, ABRA Stand nº F230/1. Valserrano will be present next week at the 3rd Rioja Wine Saloon in China. Next Sunday, March 24, will start one of the most important European Wine Fairs – Prowein 2013. 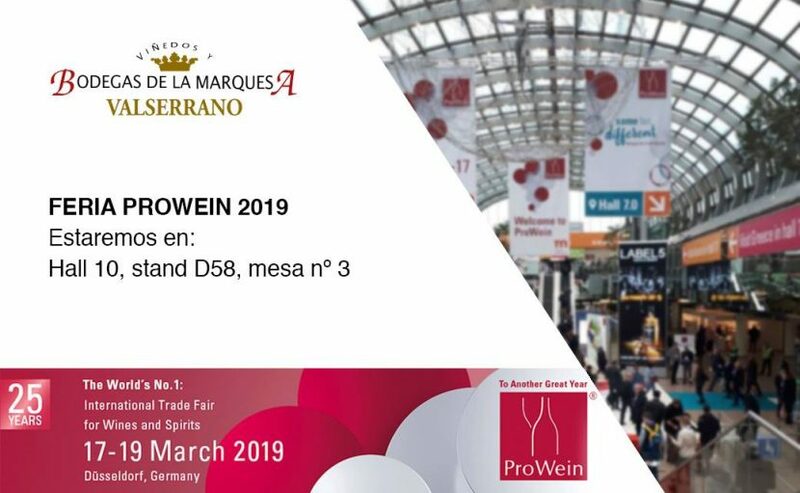 Viñedos y Bodegas de la Marquesa – VALSERRANO, will be attending once again and you will be able to find us in the Wines from Spain Area (ICEX), Hall nº 4, stand 4B42. After starting today, The 2nd Grand Tasting in Hong Kong, the next stop is Shanghai. On Thursday, March 21st, Valserrano will be present at the 2nd Grand Tasting of Rioja Wines in Shanghai, that will take place at the Hotel Le Royal Meridien. Nest Tuesday, March 19th, Valserrano will be present at the 2nd Grand Tasting of Rioja Wines in the Langham Place Hotel of Hong Kong. Next Monday, March 11th, will start the 8º Profesional Salon of Spainsh Wines at Ferrol. V&B de la Marquesa – Valserrano will be present at the stand nº 30-31. Valserrano at the Santander Divinos wine fair. La Ruta del Vino in collaboration with various distributors and the daily El Mundo Cantabria organizes the wine fair „SANTANDER DIVINOS 2013“, addressed to restaurants and wine specialized shops.